Having the right office technology products and imaging supplies is critical. Stinson’s is your one-stop tech source to keep your business running efficiently. We have the office technology you need. 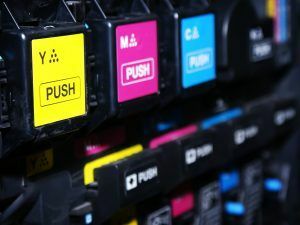 Printers, scanners, copiers, and cartridges are all available and easy to order. As one of the few HP Platinum Supply Partners in the country, Stinson’s is your go-to source for original HP supplies. Our purchasing power with HP gives you the lowest prices on ink and toner cartridges. 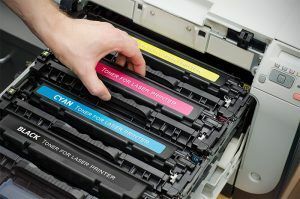 In addition to HP, we offer an extensive line of both OEM and remanufactured supplies from the biggest names in the printing industry. For the latest prizes, promotions and products! ©2019 Stinson's. All Rights Reserved. Website design & development by TheMarcomGroup.com.